As always, we were wondering where to bring the kids last Sunday, a day where we usually try to have some family fun together. Since it was a drizzly afternoon, we decided to laze around at home and had dinner first before heading out for a night walk. With Mid-Autumn Festival around the corner, it wasn't that hard to figure out a place to visit. 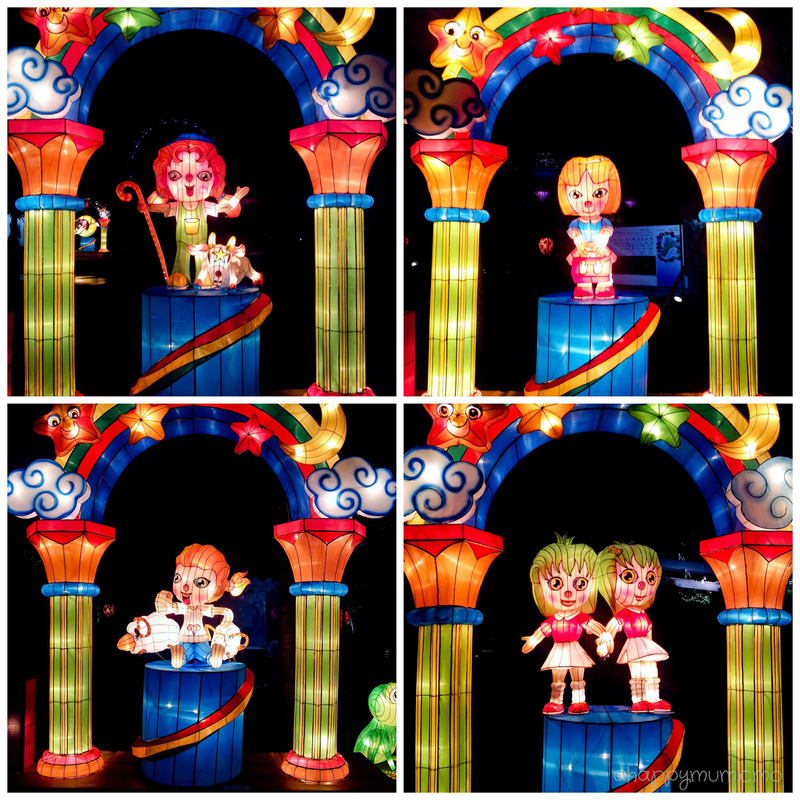 Yes, for the first time after being away from home for years, we were actually excited about seeing lantern displays and thus decided to make our way to Gardens by the Bay. Were the girls thrilled? You bet. Especially Angel, who was in love with her Hello Kitty lantern and couldn't stop singing as she carried it and walked, or even skipped, her way to the Gardens. The first display we saw was the Jurassic park, where we were welcome by brightly lit, life-sized dinosaurs which could move their heads and even make growling noises. Angel was fascinated by the creatures while I was awed by the delicate work that went behind the making of these handcrafted lanterns. Oh, in case you are wondering about our lanterns like how some passers-by did, these are DIY from plain lanterns and it already took me three afternoons just to finish four small lanterns. I will be sharing more in this week's Creativity 521. We saw many frogs along the way, sponsored by who else but Sakae, and they never failed to make my girl fascinated or make her hop around beside them. Next, we decided to continue our walk along Dragonfly Lake. It was a good thing that it was nearly 10pm already so the crowd was already dispersing, leaving us plenty of room to breathe and explore. In fact, while others were admiring lanterns, Angel and the hubby were actually looking in the water for spiders, bugs and flies. Yes, that is my family, ah huh. 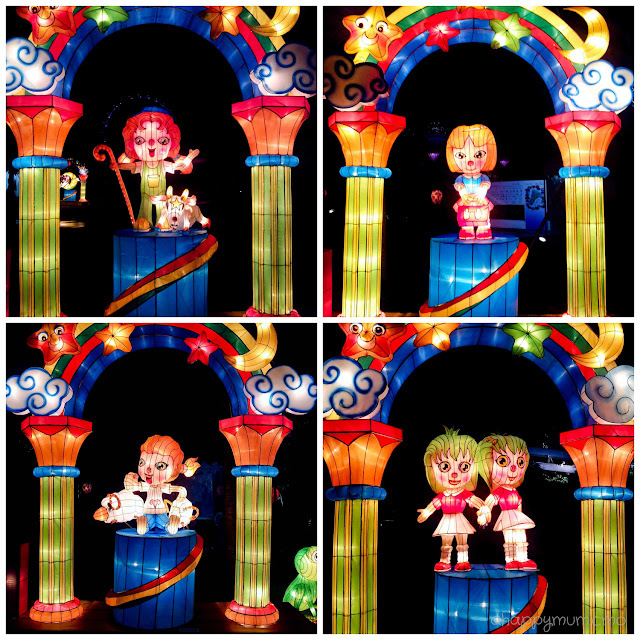 For me, I actually prefer these exquisite displays on the lake because they depict legendary characters, and to me, Mid Autumn is all about gatherings, Chinese traditions and myths. 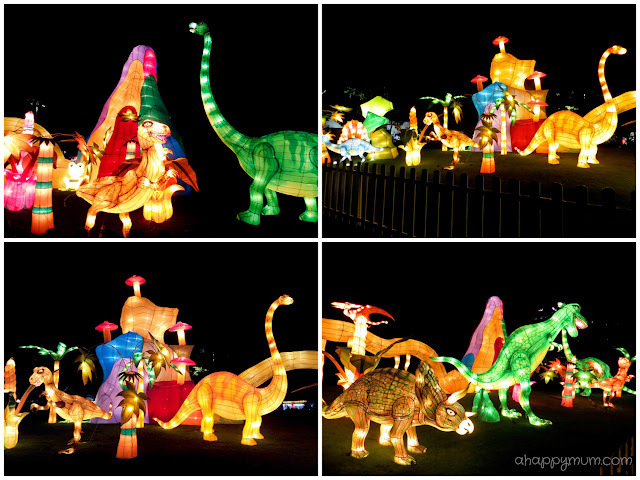 These floral lanterns not only light up the path but also beautify the night. We were not planning to visit the Flower Dome to see the "Lantern Flowers" display, which requires an admission charge, and therefore were contented with everything we could see and admire along the outdoor gardens, which is free for all and opens up till 2am, perfect for night creatures like us. Another fascinating display was that of the 12 zodiacs which gives you a prediction of your life in the year 2014. After the Gemini hubby read his and said "Hooray" when it said that he will have a smooth year in all aspects of his life from career to romance, I went hunting high and low for my Aries lantern. When I finally located it and read the words with anticipation, guess what? It said I would be susceptible to shoulder and backache next year. What? That is a prediction too? That made me laugh out loud but oh well, guess I need to stock up on more tubes of Counterpain. Last but not least, we also released our first Loy Krathong, or water lantern, in support towards charity and the President's Challenge 2013. The hubby wrote our names and made a wish for our nation to be peaceful and prosperous before we let the flower crown, which was chosen by Angel, float onto the lake. 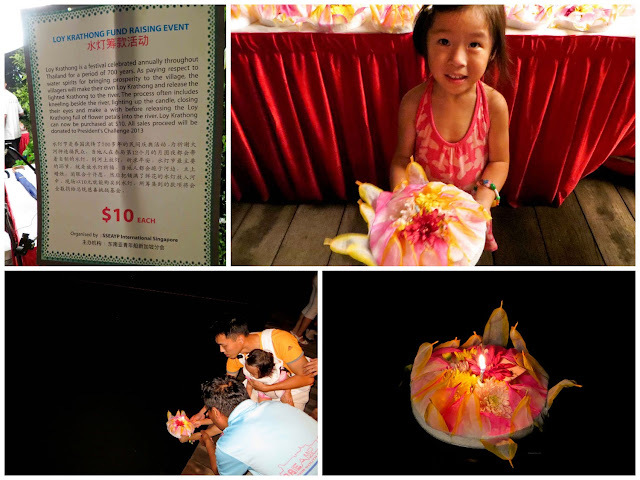 There, we might not have seen everything that is offered at the Gardens for the Mid-Autumn Festival, but it was a night well spent and one filled with laughter and love. You can also visited the cooled conservatories or OCBC Skyway where admission charges apply and these are open from 9am till 11pm. 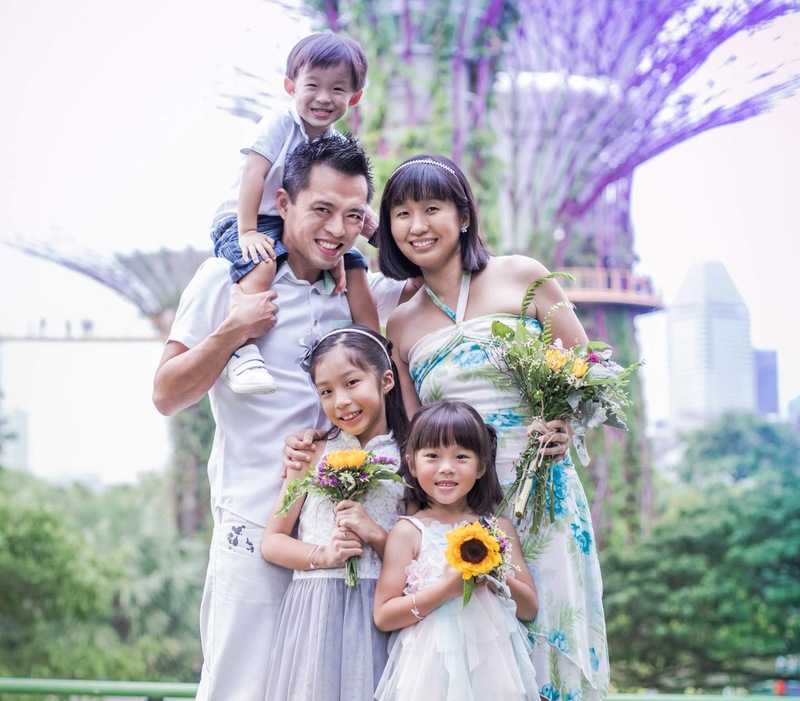 If you are on Instagram, upload your photos taken at the Gardens with the following hashtags - #midautumnatgb and #gardensbythebay and stand to win a memorabilia gift package worth $50. Here's wishing a Happy Mid-Autumn Festival to everyone in advance! 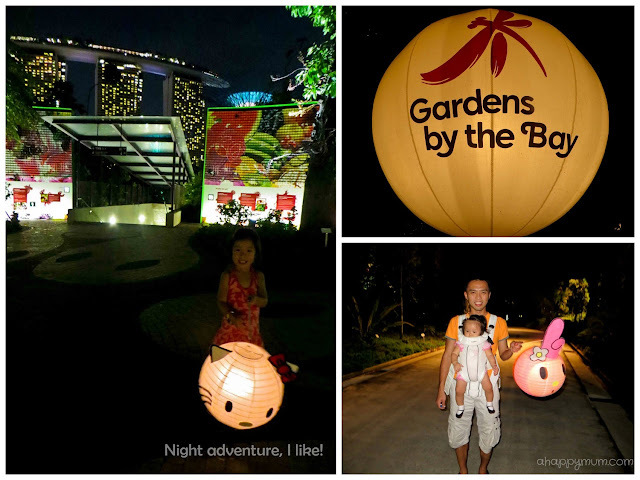 I super love your diy Hello Kitty lantern! That's such a cute and creative idea. Definitely making it for next year. 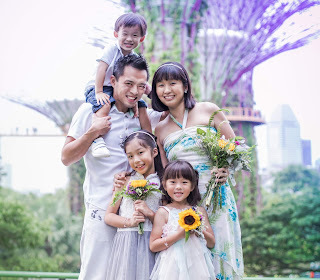 We'll be goin to Gardens by the Bay tonight too.